The QSL Manager or the person in charge of any expedition 0, DX, Portable, IOTA and so on, should request authorization and assignation of call-sign to the ATDXNews Manager Digest Editor at least a month before the activation, specifying all the necessary data (date, Team, QSL Manager, etc). The activation can be considered for the record only after the release of permission and of the call-sign and after it is inserted only in the ATDX News Digest Bullettin issued on the several official AT Forums or Web Portal. Any change or cancellation of the activation should be given promptly. Please note that anyone using these terms whitout authorization will be will be disqualified from carrying out further expeditions and all the activations shall be disproved automatically. The country or island to be activated must be of great interest and be a locality where is not existant or at least scarce. The Manager will decide the value of the location. Any locality, lake or mountain etc, is excluded unless entered in the Dxcc List or, in the case of island, must appear in the IOTA References List or on geographic map. 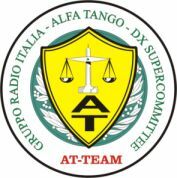 It is strictly forbidden to request or insert on the QSL sponsoring of any kind; on the QSL only the logo Alfa Tango is admitted. 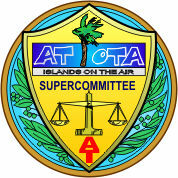 The QSL must report compulsorily the name of the island and the references both IOTA and the country’s. He, who does not stick to the rules, will be disqualified from carrying out further expeditions. Before carrying out the activation, every team or QSL Manager must prepare the draft of the QSL and go ahead with the order of printing just after the end of the activation, being able to end the expedition of the confirmations. The QSL Manager who does not answer within 6 months, will not be authorized to peform the task of QSL Manager any more (unless in exceptional circumstances and after having given more than valid excuses). The QSL Manager must be aware of taking on the duty of the QSL printing even in the case of few contacts and/or few requests. If the Team is not able to accomplish and print the QSL within the deadlines, can contact the H.Q. The teams with QSL management problems can ask the head office for a manager. For no motive or reason is it allowable to ask over the radio for dollars or any currency, except to explain to non-AT members that a donation is required for postage for the Qsl card and, under no circumstance, must this request exceed $ 2 . If a manager of two or more expeditions receives a contribution for each request, in one or more envelopes, must confirm by sending separate envelopes and QSLs. Operators logs must not be posted on the Internet until the activation is complete. on request ,the expeditioners or the QSL Manager can publish their logs but they have to wait for the publication to appear, first of all, on our official site. Only after that, they can publish it on other sites, personal pages etc. Also any infos and proofs (photos, tickets,QSL, logs, etc ) must not posted on any Forums before the activation will be valitaded by the Supercommittee. log, air or ship tickets, passport visa, local receipts, hotel receipts, photos or videos of the place from which the presence of the operators can be established , photos of equipments and aerials. The non-forwarding of the above mentioned documents will involve the invalidation of the activation and the members of the team will not be authorized to carry out activations for a whole year. If it happens again they will be debarred from doing other activations. A bulletin with the result of the activations (valid, no-valid, cancelled etc) in order to be accredited for the AT DXCC Score, for the Awards and the change of category will be sent periodically by the Team Supercommittees to the Official AT Forum. The results of the expeditions reported on the bulletins will be inserted in the general List ATDXNews published on our official site AT. ATø First activation (new one) of a country without any AT resident neither at the release of authorization nor previously. Such a suffix can be awarded once. <only if a minimum of 200 contacts are not achieved it can be used again>. ATDX Activation of an already activated country without any AT resident when releasing the authorization. Such a suffix can be used not more than three times , then it can be portable. <If a minimum of 200 contacts are not achieved it can be used again>. If, after the first activation (new one), other suffixes are used (Iota or Portables), they will have the value of DX suffix. Portable / The request of authorization is necessary only for all the countries with more than 10 registered Units. On the contrary, for countries with more than 10 registered Units, the authorization is not necessary and proofs are not needed. 500AT0 Is a temporary prefix assigned when the DX will considered very dangerous for the Team. Full info will be given later.